Many health benefits have been noted from diets rich in Omega-3 fatty acids, according to Sturgeon Bay, Wisconsin Chiropractor and Naturopath Dr. J G Moellendorf, DC, ND, LCP. Recent research has been looking into the cellular mechanisms that result in increased health and decreased disease. Researcher Janice Kiecolt-Glaser and her team at the Ohio State University College of Medicine in Columbus have studied the health benefits of Omega-3s for years. They recently published a paper titled Omega-3 Fatty Acids, Oxidative Stress, and Leukocyte Telomere Length: a Randomized Controlled Trial. A double-blinded (neither the tester nor the subjects, only the researcher, know who received the treatment and who received the placebo) four month trial was done with 106 middle-aged or older adults, averaging 51 years old. The participants were determined to be disease free with very little reported stress, ranging from mildly overweight to very obese, and having a sedentary lifestyle (spend most of their day sitting). Those on medication for mood control, cholesterol, or blood pressure, along with diabetics, smokers, vegetarians, those routinely taking fish oil, exercising vigorously over 2 hours per week, or having a body mass index below 22.5 (mid-range normal) or over 40 (very severely obese) were excluded from the trial. The participants were randomly assigned to one of three groups. The first group received 2500 milligrams of Omega-3 fatty acids daily, the second group received 1250 milligrams of Omega-3 fatty acids daily, and the third group received a placebo containing the equivalent proportions of fatty acids (high in Omega-6s) seen in the typical pro-inflammatory American diet. Both groups taking the Omega-3 fatty acids showed a 15% decrease in oxidative stress F2 isoprostanes, which are blood markers for free-radical cellular damage. Interleukin-6, a blood marker for pro-inflammatory cytokines, was 10-12% lower than those taking the placebo. The lengthening of DNA telomeres in the immune cells was also noted in the groups taking the Omega-3 fatty acids. Telomeres are short DNA fragment “caps” at the end of DNA strands which protect chromosomes from deteriorating or fusing to neighboring chromosomes. 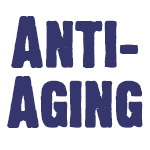 This has a large impact on cellular aging, as shorter telomeres are related to age-related diseases and early death. The telomeres shorten every time a cell divides which limits the number of divisions, thereby setting a limit on a cell’s lifespan. Organs begin to deteriorate as more cells die off. Shorter telomeres are related to an increase in cancer, increased risks of degenerative diseases, and earlier death. The greatest telomere lengthening was seen among those with the lowest Omega-6 to Omega-3 ratio. Possible benefits of high Omega-3s are seen in the prevention of cancer, reversal of the aging process, and the prevention of many degenerative diseases of aging such as heart and cardiovascular diseases, type 2 diabetes, and Alzheimer’s, along with improvement in inflammatory disorders such as arthritis. While Omega-3 fatty acids may not be the fountain of youth, they are a useful nutritional intervention in reducing the triad of inflammation, oxidative stress, and immune cell aging which are the forerunners of many degenerative health problems and aging. According to Kiecolt-Glaser’s research, between 1250 and 2500 milligrams per day of Omega-3 fatty acids are beneficial in adults. Using the latest research findings, Moellendorf Chiropractic Office, Ltd. uses a comprehensive package of Chiropractic care, decompression traction therapy, active therapeutic movement training, cold laser therapy, and nutrition for the natural treatment of neck and back pain along with other health conditions. Additional information about Chiropractic, Naturopathy, and other forms of natural health care is provided by Moellendorf Chiropractic Office, Ltd. at http://www.all-about-wellness.com.